As with any cocktail, you’ll want to choose the freshest ingredients and use a good quality spirit. I used Grey Goose for this one. It comes together so quickly that you’ll be enjoying this one outside on your patio in 5 minutes flat! 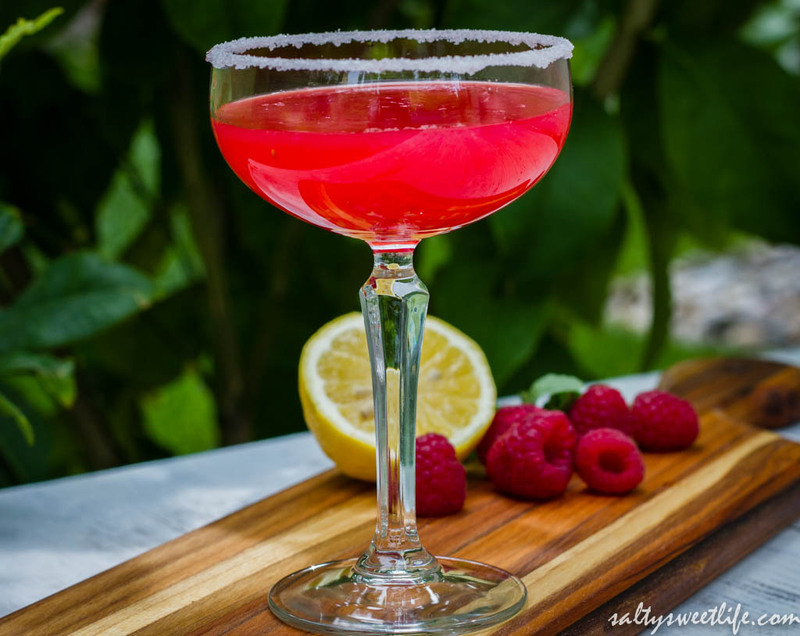 Sprinkle sugar on a saucer, then run a wedge of lemon around the rim of a martini or cocktail glass. Dip the rim of the glass in the sugar, then place the glass in the freezer. 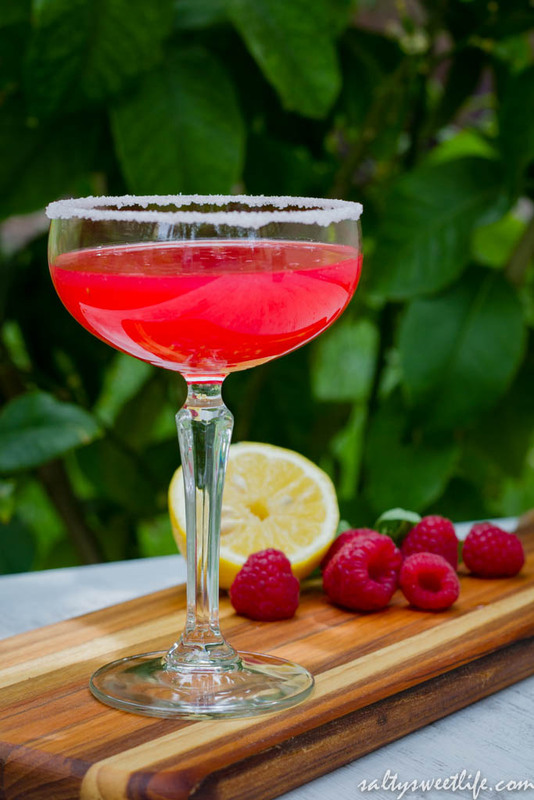 Place the lemon slices, raspberries and one tablespoon of sugar into a cocktail shaker. 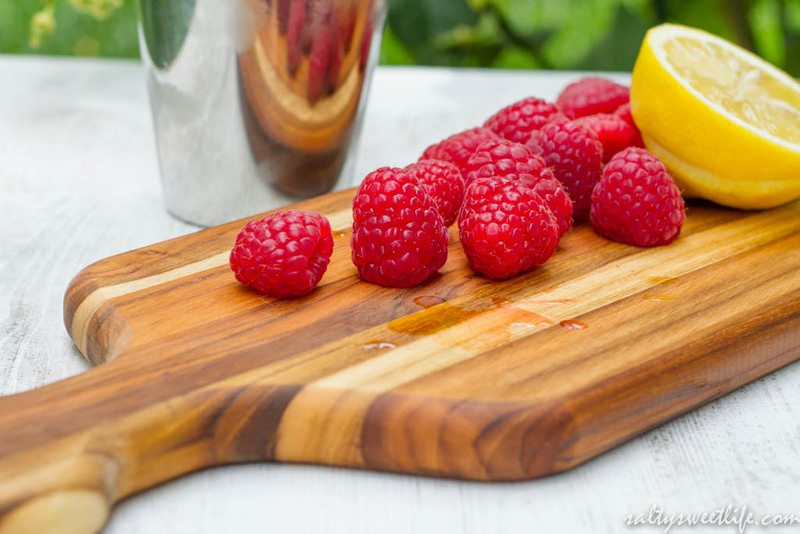 With a muddler, muddle the ingredients together until the raspberries are well pulverized. Add the vodka and ice cubes to the cocktail shaker. Give the shaker a few quick shakes, then strain into your chilled glass. This is going to be making an appearance on my table for tomorrow’s Easter brunch for sure! Be sure to check out Lori Rice’s blogs: Fake Food Free and Daily Squeeze. I’m adding this to my list of drinks to try. It looks perfect. Enjoy your brunch! It is so delicious and refreshing! Happy day to you and enjoy your Sunday dinner as well! Thank you for stopping by Christine! I wish you had a backyard, too! That’s where we spent the whole day yesterday! Have a great week! Saturday cannot come fast enough for me! I am going to have to try this recipe. As usual, your pictures are out of this world! Hi Rimi!! Thanks for stopping by! I really think you’re going to enjoy it! It’s very easy to make and it’s so fruity and delicious! It is so fresh and bright and pretty! I know you’re going to love it! This needs to happen this Friday! This looks good. Your photography is great. Thank you so much Steph! Another great use for my upcoming lemon crop — how did I go so long without your blog in my life? You are solving all of my problems left and right! Great recipe for lavender vodka, mixed up a batch with fresh lavender today. I also did a pepper vodka, using crushed black peppercorns, and a few red dried peppers. Really good in my Bloody Mary! Hi John! That is exactly what happened with my pepper vodka! It was super spicy but it was great in a Bloody Mary! Good luck with your lavender infusion!